Engine major repairs – an indispensable cardinal method in case of breakage of the vehicle motor, which has task – restoration of the technical condition of the unit. In addition, timely repaired engine is much less prone to premature failures. Experts recommend to repair the unit after 100 thousand km of runs. But all of this is individually, depending on the operation and timely maintenance. 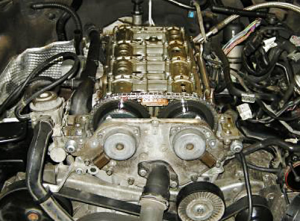 It is worth noting that a thorough overhaul repair of the engine – this is not the only method to eliminate the root causes of overheating of the unit, but also a great preventive method for detecting its defects or small breakages, timely repair of which will lead to trouble-free operation of the engine.